How do you fight fire in space? Whether you're an end-user or OEM, Setra has a solution that will fit your application as well as your budget. Setra's industrial pressure transducers accurately measure pressure (hydraulic and pneumatic); liquids, gases, coolants, fuels, lubricants, refrigerants; and most other media. Pressure ranges extend from high to very low pressure for gauge, absolute, differential, and barometric pressures and vacuum. Improving fire-fighting techniques in space and getting a better understanding of fuel combustion here on Earth are the focus of a series of experiments on the International Space Station, led by a professor at the Jacobs School of Engineering at the University of California, San Diego. A first round of experiments ran from March 2009 to December 2011. A second round kicked off in January and is set to last a year or more. Upload a 3D CAD model to get an online quote for the fastest plastic and metal machined prototype parts around. 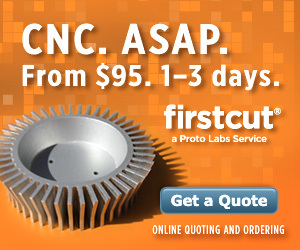 Firstcut CNC Machining Service from Proto Labs. Top scientists and technologists are working with the Defense Advanced Research Projects Agency to give arms and hands back to warriors who lose them in battle. Engineers at Stanford have created photovoltaic nanoshells that harness a peculiar physical phenomenon to trap light better. The results could dramatically improve the efficiency of thin-film solar cells while reducing their weight and cost. OSRAM Opto Semiconductors has developed two LED prototypes that combine new chip and package technologies to provide high light output (even at high currents), a uniform light pattern, thermal stability, and a particularly good contrast ratio. D3 Engineering has teamed with New Scale Technologies (precision motion) and Sunex (high-quality optics) to produce the SmartCamera kit, which allows system design engineers to quickly develop and integrate tiny, high-performance camera systems into their next-generation products for medical, biometric authentication, surveillance, machine vision, and other applications. Precision autofocus is a stand-out feature here. Kits can be customized by choosing from a wide range of standard and custom lenses. Check out the OEM SmartCamera Developer’s Kit. Who doesn’t like "try before you buy"? NovaTorque (Sunnyvale, CA) is offering a cost-free opportunity for OEMs to evaluate and test its new, super-efficient Gen 2.0 PremiumPlus+ motors to run things like fans, pumps, or general-purpose industrial equipment. Cut your sheet metal manufacturing prep time in half. SpaceClaim’s 2011 enhancements include that you can work with imported STL files, explore unbelievable sheet metal tools, manage large assemblies, access an awesome free TraceParts library, and other mind-blowing upgrades. 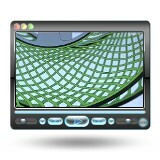 Check out the latest that SpaceClaim engineering software has to offer for sheet metal design.